It’s the end of the Vans Warped Tour, and it’s promising to go out with a bang! 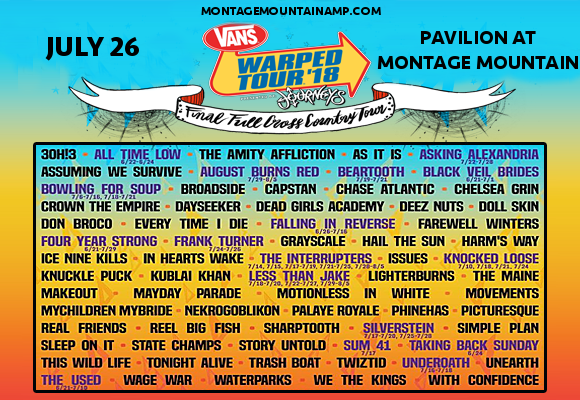 Featuring an incredible lineup with the likes of 3OH!3, Falling In Reverse, The Used, Chelsea Grin and Motionless In White, just to name a few, the tour will play its final day at the Pavilion at Montage Mountain on Thursday 26th July 2018. Be there – hit the “Buy Tickets,” button above to get yours now! !